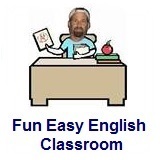 ﻿ Fun Easy English - new classroom free online classes english language lessons speaking listening writing reading october 28. Today in the classroom you are going to learn some idioms beginning with the letter Q. Today learn idiom beginning with the letter Q.
quick and dirty fast but inadequate The mechanic did a quick and dirty repair on her car. 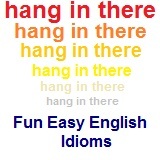 Actually there are only a few idioms beginning with the letter Q. Quick and dirty basically means doing something fast but not perfectly.